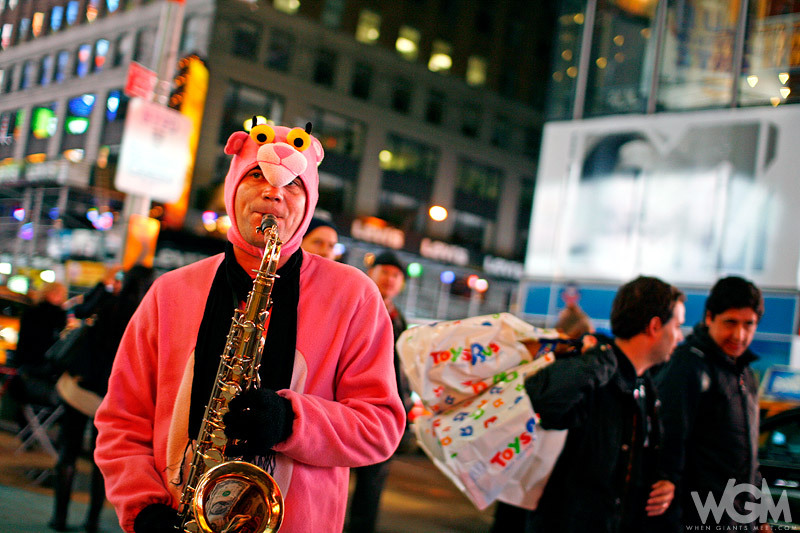 I saw this guy on Times Square in front of Toys 'R' Us trying to make a dollar out of 15 ce... err a pink costume. 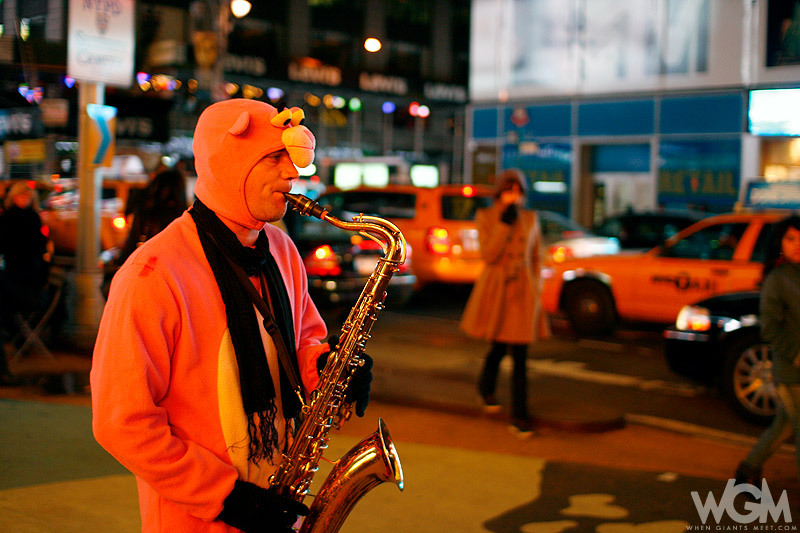 He played the Pink Panther (fitting I guess) theme for two blocks in a slow sad and somewhat suicidal tone, who know what woes the pink costume and black sneakers have. 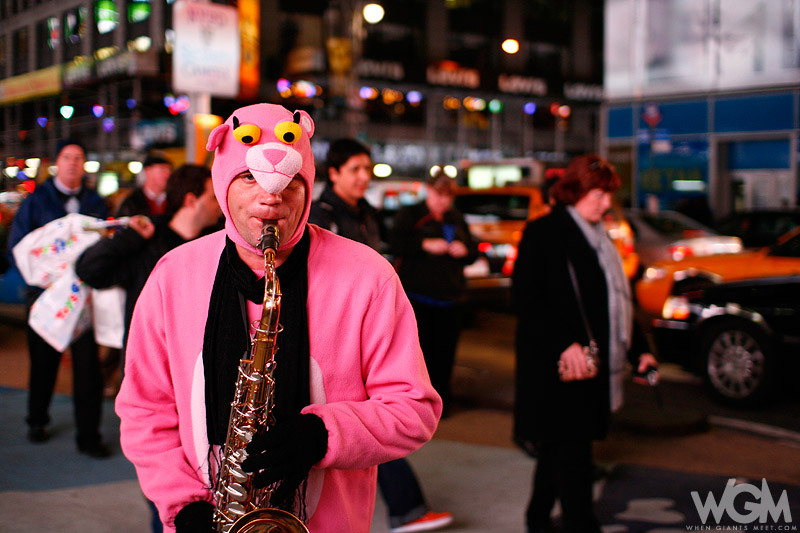 Tourists stopped him to take pictures and I pretty much got in his face and he was ok with it, thanks guy in a Pink Panther suit!